Canadians are working hard to put aside some extra cash for retirement. This wasn’t always a big issue for a large part of the workforce, but times have changed over the past 30 or 40 years. In the good, old days, people used to be able to walk out of high school, college, or university and get a decent full-time job with generous benefits. Today, the post-secondary diploma is pretty much a necessity, and even with a four-year university degree, many grads find themselves rotating through internships or contract work for years before nailing down a full-time position. 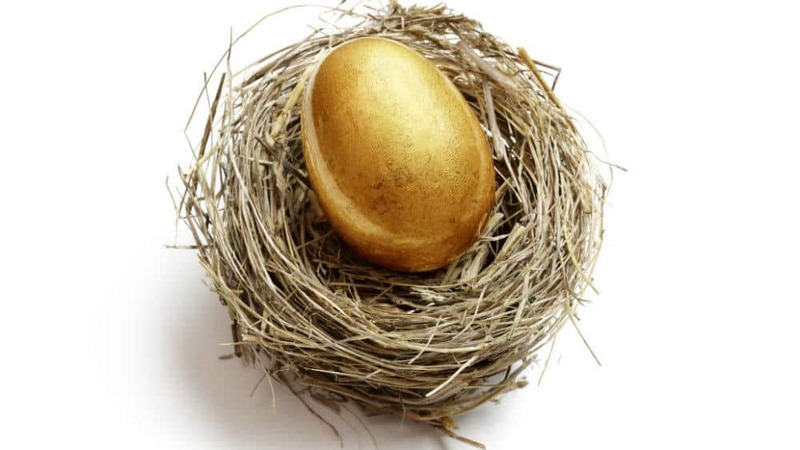 When the permanent gig arrives, the golden pension is not often part of the package, unless you work for government or one of a handful of companies that still provide defined-benefit plans. As a result, Canadians are shouldering more of the burden to save enough money to supplement their CPP and OAS payments in retirement. One popular strategy involves holding dividend stocks inside an RRSP. The contributions can reduce taxable income today and are allowed to grow tax-free until you decide to remove the funds. When dividends are invested in new shares, the investments can grow significantly over time. Let’s take a look at three Canadian dividend stocks that might be interesting picks today. CNRL is a major oil, natural gas, and natural gas liquids producer with assets that span the full range of the energy product spectrum located in Canada, the North Sea, and Offshore Africa. The company took advantage of the rough spell in the oil sector to add strategic assets at attractive prices and has a resource base that is capable of supporting decades of production growth. Management has a talent for shifting capital to the most profitable assets in a timely matter, and that is showing up in the results. CNRL raised its dividend by 22% earlier this year, and the generous increases should continue. TD earned more than $3 billion in profits in the most recent quarter. The company is a giant in the Canadian and global banking industry, with a market capitalization that is closing in on $150 billion. The main attraction for long-term investors is probably the company’s large U.S. division. TD operates more branches south of the border than it does in Canada, and rising interest rates combined with lower taxes should support solid earnings growth in the American market. TD regularly delivers results that are better than its 7-10% earnings-per-share growth guidance. Earlier this year, TD raised the dividend by nearly 12%. Enbridge is a contrarian pick today. The stock has come under pressure amid a perfect storm of rising interest rates, pipeline resistance, and investor concerns about the company’s use of drop-down subsidiaries. Higher rates make borrowing more expensive, and major oil pipeline projects are definitely harder to get approved, but rates are still below historical levels and Enbridge has decent organic growth opportunities. Regarding the corporate structure, management has announced more than $13 billion in deals to buy the outstanding shares it didn’t already own in a number of its subsidiaries. The process is ongoing, but Enbridge is on the way to being a less complicated business. In addition, a new focus on regulated assets has resulted in the sale of $7.5 billion of non-core assets this year, with at least another $2.5 billion expected in 2019 or 2020. Enbridge has a strong development portfolio that should support decent cash flow growth and continued dividend increases. The stock currently looks oversold and provides a yield of 6%. CNRL, TD, and Enbridge are all market leaders that should deliver strong returns for decades. An equal investment in all three would provide a balanced start to building a buy-and-hold RRSP portfolio.